State House spokesperson Amos Chanda has called for a public and judge-led inquiry into the privatization of companies where he says Hakainde Hichilema has been named. Chanda who has already picked a judge for this witch-hunt aimed at diverting attention from the poverty the people are facing recently wanted to have HH arrsted for inciting Copperbelt residents to riot . He failed, but now he and other PF businessmen see another opportunity to make money. Chanda also said President Lungu was a negotiating Chairman in the privatization of Keembe storage but found him innocent before his own inquiry starts sitting. He said unlike HH who sold the companies to friends or relatives, Lungu is innocent. 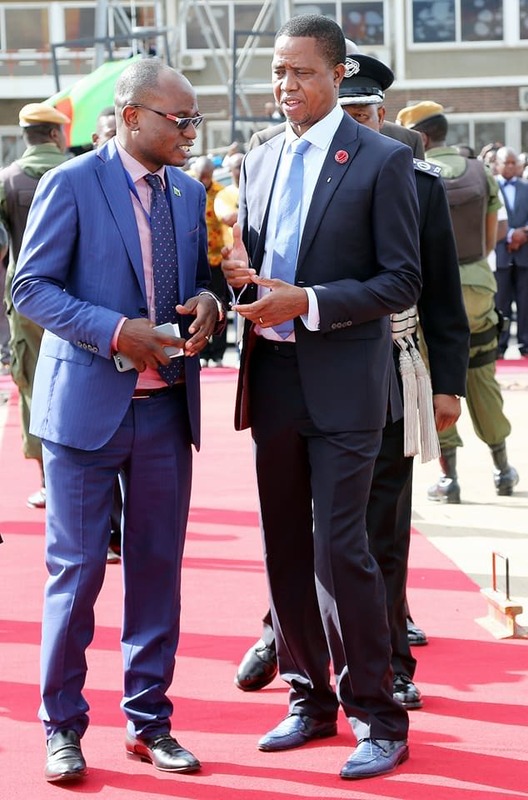 Chanda claimed that President Lungu did not sale the Keembe storage to himself, or relatives and friends. Why not leave this to the inquiry? A real inquiry though would be about how state house officials are profiteering from and during acquisition of Chinese loans.